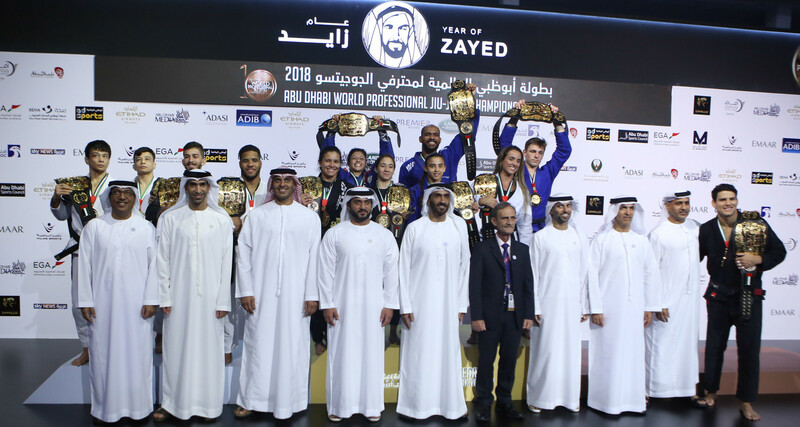 The 2018 Abu Dhabi World Professional Jiu-Jitsu Championship ended in the highest note possible. The black belt finals crowned the best of the best fighters in the world with competitors coming from all over the planet to test their talents and give a testimony of how strong the sport is today in the planet. The final matches of each weight class will be in the minds of Jiu-Jitsu fans for years to come. The action witnessed this Saturday, April 28, at the Mubadala Arena, was of the highest quality. Here's how each division final played out to crown its champion. José Carlos Lima is the only champion crowned on Friday. In a bracket that put each fighter to compete against all of the other opponents, Lima won three of his four matches. After a bad start against João Kuraoka, Lima came back to beat Takahito Yoshioka, Rodnei Junior and finally finish Andrea Verdemare with a choke from the back to secure the gold medal. João Miyao and Wanki Chae put on show for the crowd. From the very get go, Miyao imposed his top game to build a 7-2 lead with a guard pass and a mount. Wanki Chae fought hard to come back in the end and managed a sweep to score two points, but it was too late and Miyao took the gold medal home. Well known rivals, Paulo Miyao and Gianni Grippo knew each other games very well and that meant a very strategic final. The match was fought to the very end and no fighter made no mistake to allow the opponent to score. In the end, Miyao managed to get to Gianni's half guard to score a 1-0 lead on advantages and secure the title. Norway's Espen Mathiesen continued his winning streak and made quick work of Canada's Jacob Mackenzie. After pulling guard, Mathiesen was able to lock a triangle choke from where Mackenzie could not escape, The three taps came soon and the match was over with Espen celebrating his first title in Abu Dhabi as a black belt. 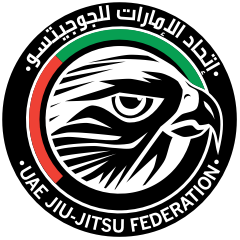 For the pleasure of the home crowd, the UAE's Faisal Al Kitbe made his way to the final against Brazil's Isaque Bahiense. It was an intense and fast paced match with Bahiense having the initiative and Faisal making clever use of his qualities to put the breaks on his opponent. One sweep midway into the match earned Isaque the narrow 2-0 lead that granted his first gold medal as a black belt at the ADWPJJC. If in 2017 Felipe Pena was able to win via submission, this time things were much more tough. Adam Wardzinski had his defenses ready for Pena's pressure and pass game and all the Brazilian was able to get was a 4-0 lead with two sweeps. Pena did not complain and celebrated accordingly his fourth straight gold medal at the ADWPJJC since 2015. Erberth Santos likes to end his matches quickly. Explosive since the very beginning, the Brazilian fighter went after UK's Lucio Rodrigues with all he had. A takedown, a back take and a choke from the back was the sequence that gave Erberth his second gold medal as a black belt in Abu Dhabi. It took him only one minute and two seconds to win. Mayssa Bastos followed her own script in the final against Livia Gluchowska. Despite some brave resistance from the Australian opponent, Mayssa soon found her way to Livia's back to finish the match with her well known choke. It's Mayssa's second title in a row at the ADWPJJC. Belgium's Amal Amjahid is really a dynamo. The brown belt had no regard for her black belt opponents and cruised through the division. In the final against Amanda Monteiro, she fought her way to the Brazilian's back to sink a choke and celebrate a well deserved gold medal. Bianca Basílio had no easy way to the top of the podium. She made it through a very tough Brazilian qualifier and then had an amazing performance in the main bracket. This Saturday, in the final, the UK's Ffiona Davies was an opponent that would not budge. Bianca fought hard to the very end and convinced the judges to award her effort via unanimous decision after a 2-2 tie on advantages. Ana Carolina Vieira is the back to back champion. She had a very tough challenge in the final, as America's Jessica Swanson fought very hard to hold her ground against Ana. Little by little, Vieira was able to build her lead up to a 9-0 score. The clock ran out and once again Ana Carol could celebrate her title. Angélica Galvão imposed her game since the very beginning. With a lot of pressure and high level technique, she was able to control the action during the final against Poland's Marta Szarecka and build a 8-2 lead that earned her the gold medal. The 2018 ADWPJJC is in the books. The historic event was also the final annual installment of the event. The ADWPJJC will now become a biennial event, with the next edition taking place once again in Abu Dhabi in 2020.